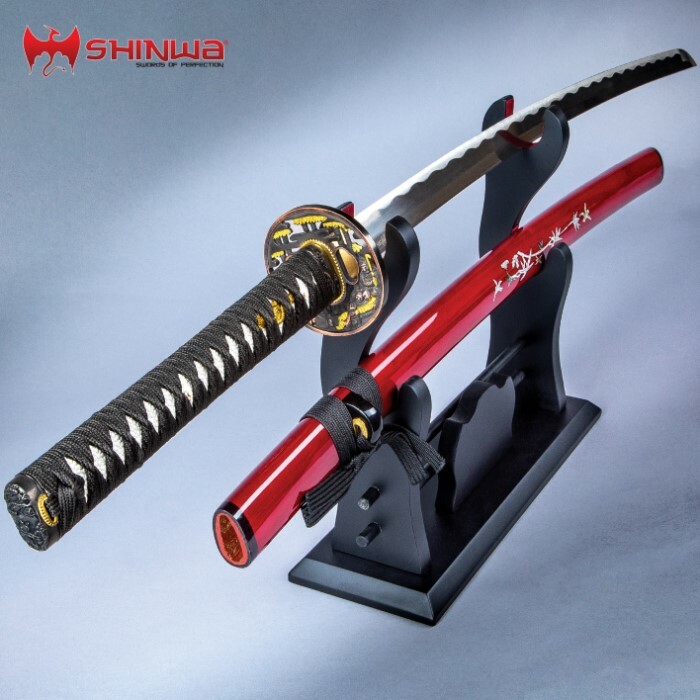 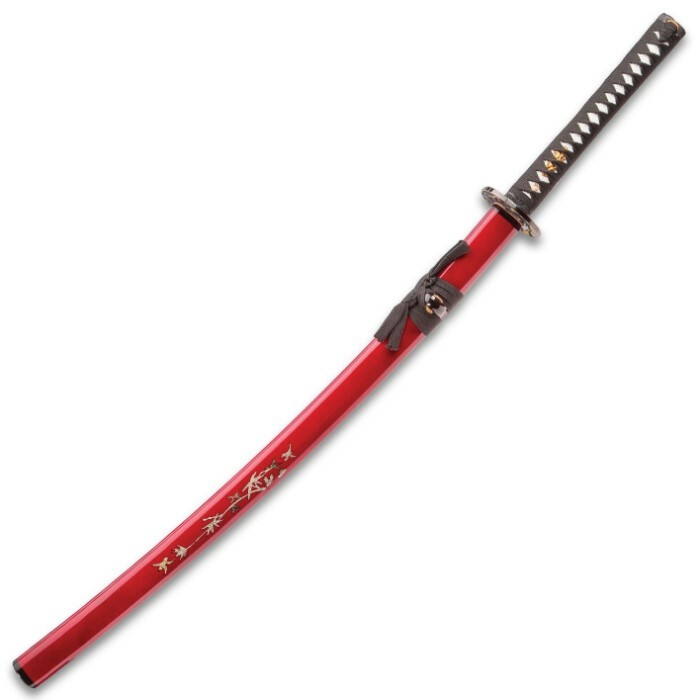 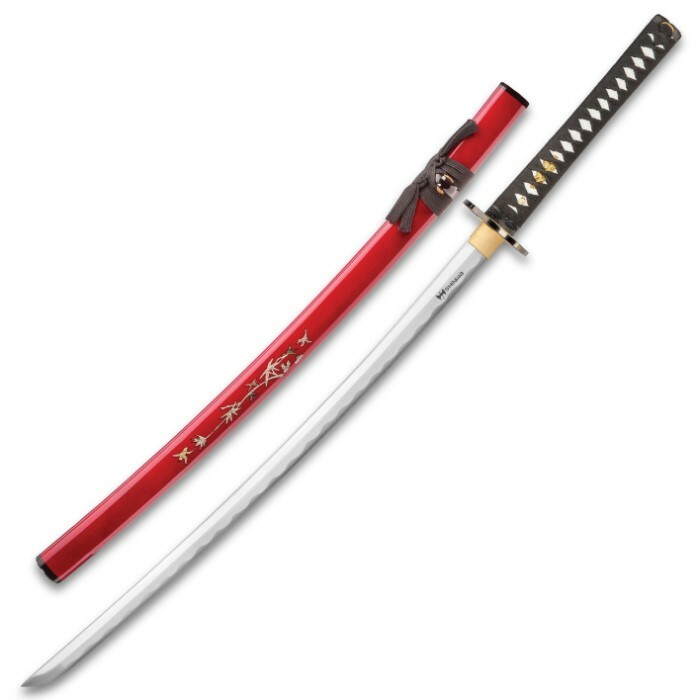 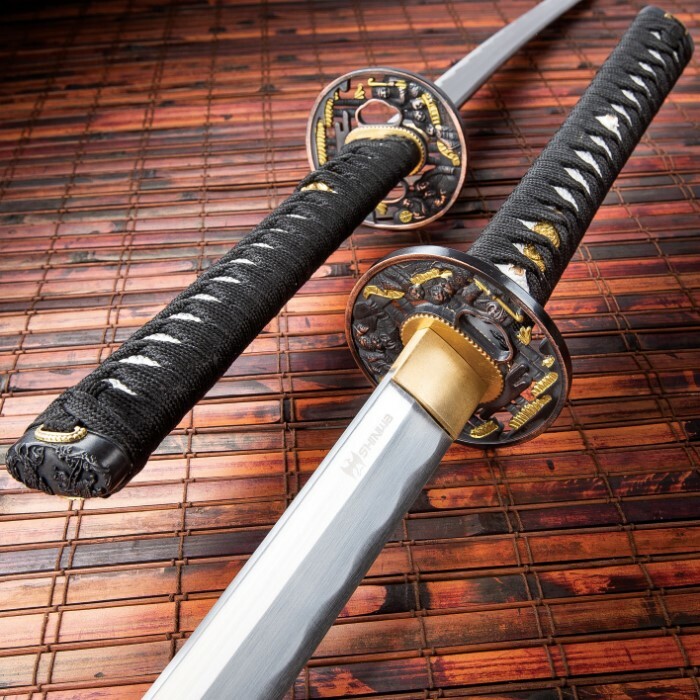 Our Shinwa Crimson Warrior Katana is the perfect example of what you’re looking for in a quality sword with the traditional elegance of look and handling that has been appreciated for centuries. 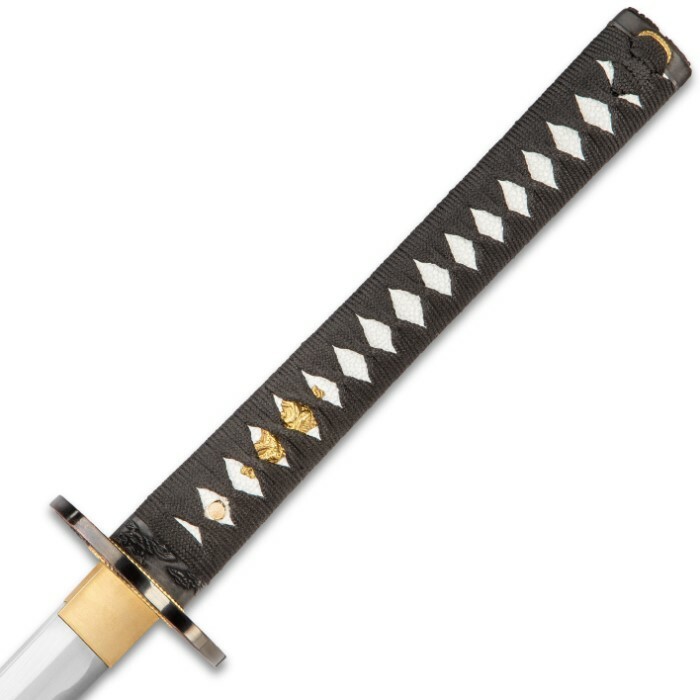 It has a 27 1/2” 1045 high-carbon steel blade extending from a brass habaki and a metal alloy black and gold circular tsuba. 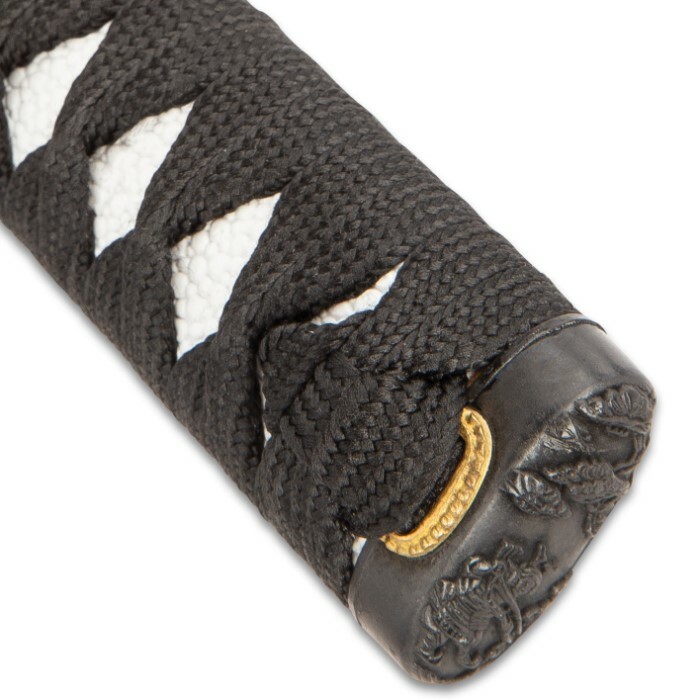 The wooden handle is traditionally wrapped in genuine rayskin and black cord and features a black pommel with birds. 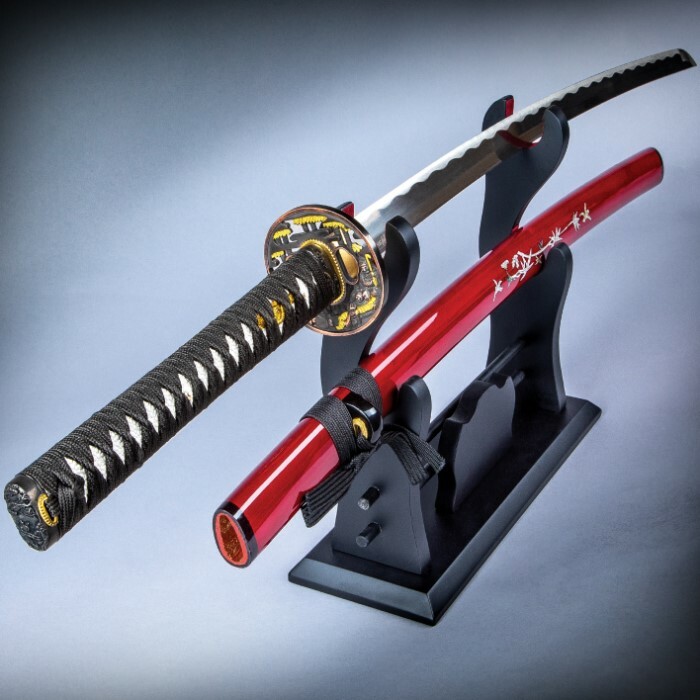 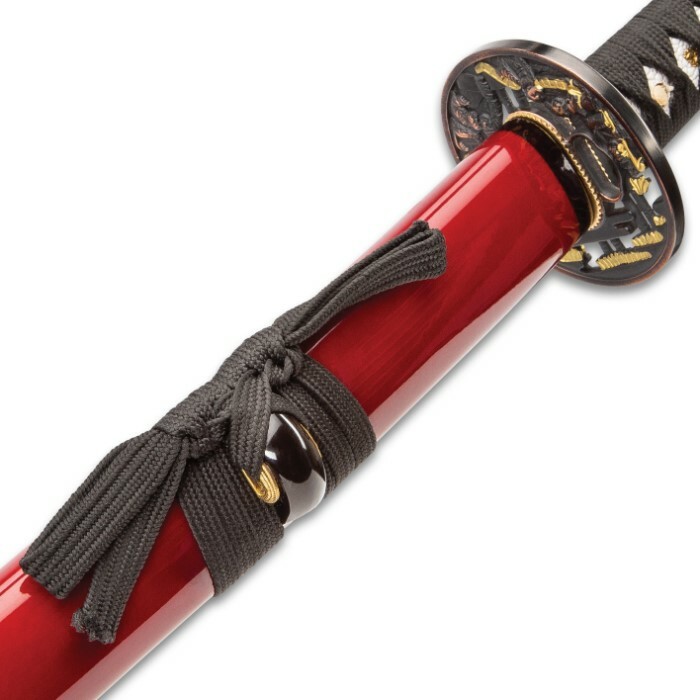 The 41 1/4” overall katana slides into a crimson red lacquered wooden sword with a gold painted bird and bamboo scene.